Just in time for the 50th anniversary of the Six Day War, Jerusalem U is releasing the free video series: Countdown to the Six Day War – 12 short videos that bring the Six Day War to life – in real time. The 12 short videos unfold in real time, showing what happened on each day leading up to those fateful six days. The Six Days themselves get special treatment – with a short film for each day. Countdown to the Six Day War is presented in partnership with the Jewish Council for Public Affairs (JCPA), The Jewish Federations of North America, Israel Action Network, the Center for Israel Education and The Jerusalem Post. 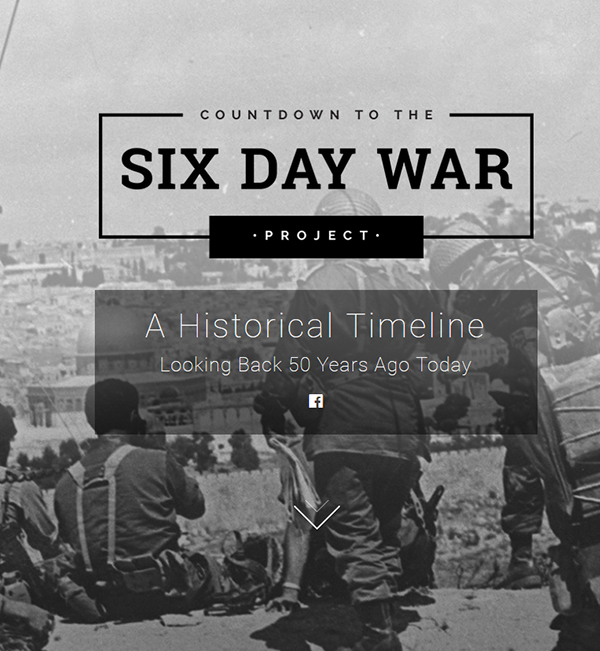 The free video series Countdown to the Six Day War is available at http://www.sixdaywarproject.org.